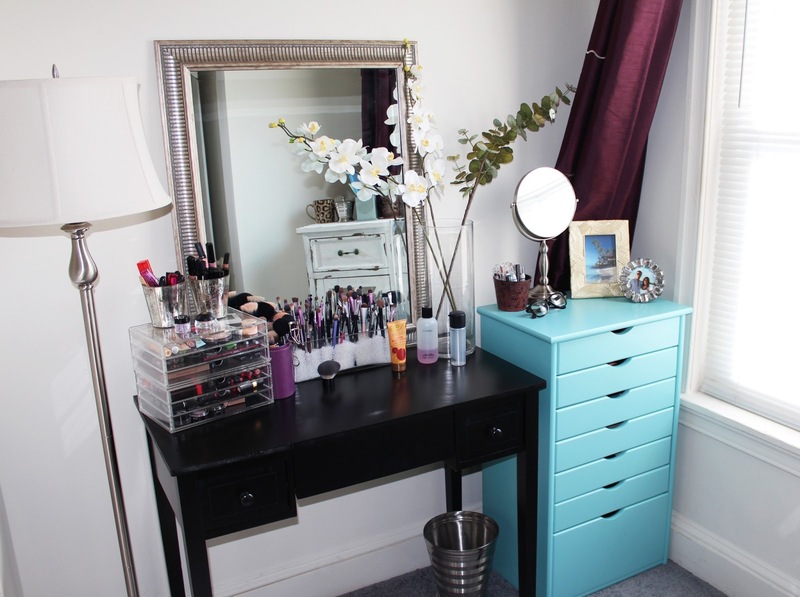 Makeup By Alli: New Makeup Storage/Organization + Room Tour! Today I am super excited to show you my new makeup storage and my little home office/closet area. It's been a work in progress and I have to thank my wonderful boyfriend for helping me drag all of the new Ikea shelving to our house and setting them up! For the longest time there really wasn't too much going on in my film room, which is an extra guest room in our house. I had a tiny desk area but I never really did much with it because the room was such an awkward space. We live in a row home which is basically a "hallway" of a house with windows on both ends. The rooms are very long and narrow, making it hard to arrange furniture... and keep my houseplants alive. I didn't feel like this space, that I spend so much time in, was being used to it's full potential. I also wanted the re-design to represent my personal style and break up the space a bit so it didn't feel so much like a bowling alley. However I'm no professional interior designer and I was definitely working within a budget. Also, I didn't want it to feel too fancy or stuffy - after all, it is our house. I wanted the room to still feel "homey" and lived-in but be a place that inspires me creatively at the same time. I'm beyond thrilled with how it turned out! Oh and of course there's my new storage cart for my makeup collection! I've always tried to keep my collection of products at a reasonable limit. I hate to be wasteful so if I have a product that I don't particularly love, I'll give it away to friends or family. That being said, just by nature of filming beauty videos you do tend to accumulate a lot of, well... stuff! It was getting out of control. So I decided to invest in this new (turquoise!) storage that has some extra room for new additions. If my collection ever outgrows this storage unit you can go ahead and just check me right into rehab ;) Below you'll find the video tour and a list of the items in my makeup room and where I found them! Thanks so much for checking back with me and I hope you enjoyed this post! What are some of your makeup organization strategies and tips? 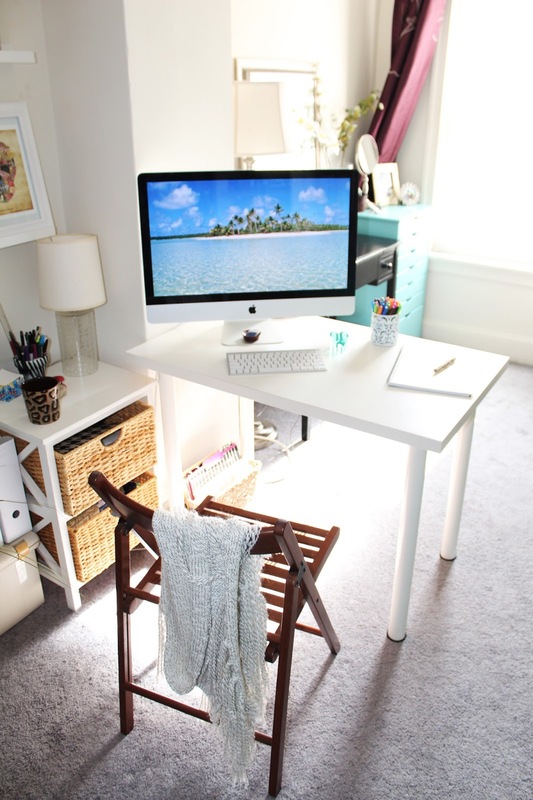 I love that room so much!! Wish I could have the same exact one!! Omg everything is beautiful!! I absolutely love what you have done.. 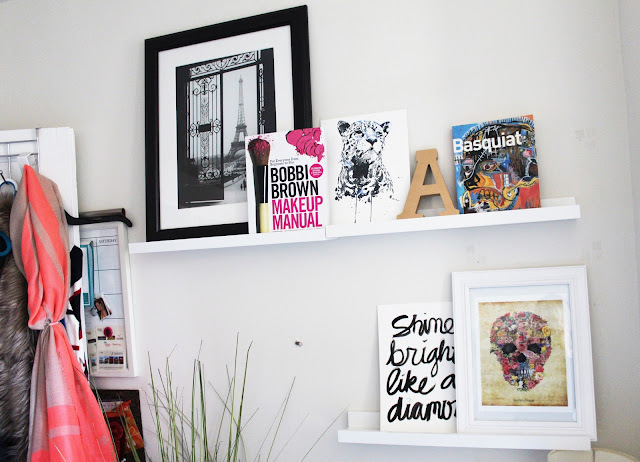 I absolutely love how you kept a clean white wall colour throughout - allowing your accessories pop. Some may not know how hard it is to actually pull off white walls! 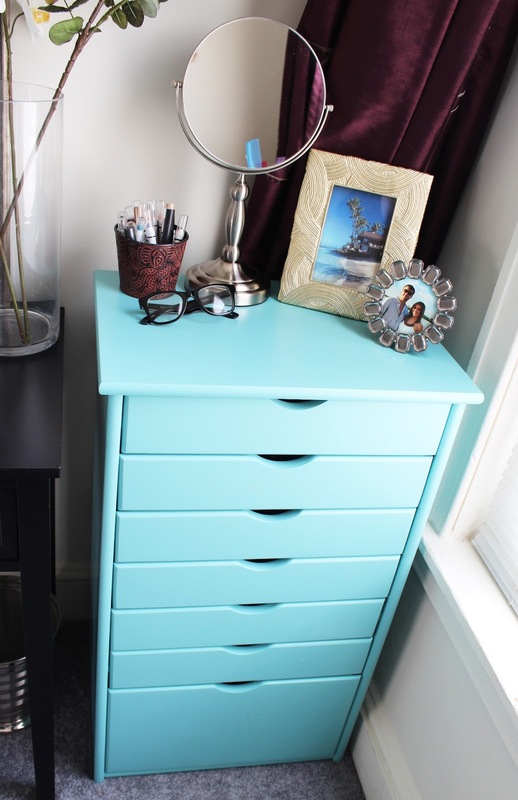 You've done a great job :) Oh and you're turquoise makeup storage = obsessed. did you get the wide drawer cart or just the regular 6+1 cart? 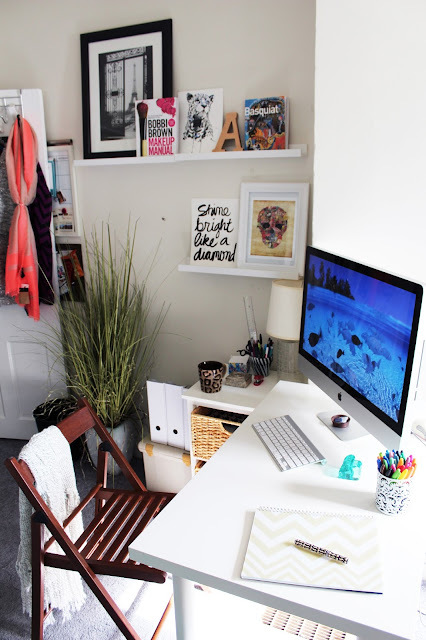 Absolutely love this set up and organization! Makes the room look very cute and fresh!! The rates of the storage place are pretty reasonable, especially for a location like this, and they offer billing options to provide an overall great experience. Shop Thanks for your information, it was really very helpfull..
bracciale argento personalizzato I feel really happy to have seen your webpage and look forward to so many more entertaining times reading here. Thanks once more for all the details.